English subtitled teaser trailer added for upcoming movie “The Negotiation” starring Son Ye-Jin and Hyun-Bin. 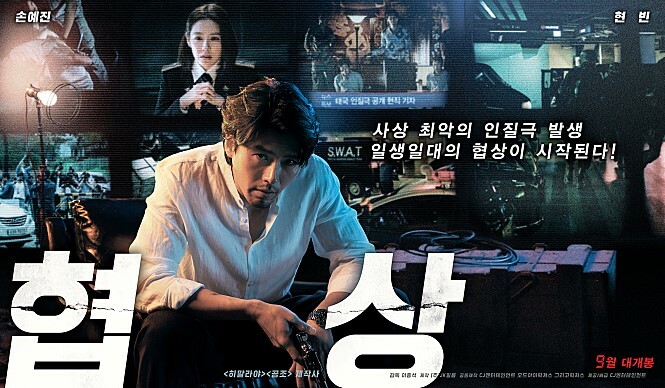 The movie features Hyun-Bin playing a villain for the first time in his acting career. He kidnaps Korean nationals in Bangkok, Thailand. Son Ye-Jin plays the negotiator that only has a few hours to save the lives of the hostages. “The Negotiation” will be released September, 2018 in South Korea.